There are countless ways to explore Austin, Texas, especially for those who enjoy the outdoors. Whether you enjoy pedaling or paddling—or prefer exploring on your own two feet—Austin provides you with endless itineraries to maximize your time outside, all while keeping you fueled with tacos, local coffee, and craft beer. We challenge you to make the most of 48 hours in town with this stacked itinerary, which will keep you moving, hungry for tacos, and needing all the coffee you can get. 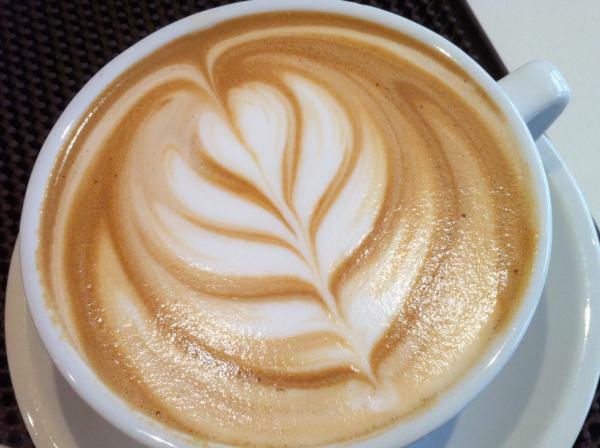 Grab a latte at Caffé Medici. Credit Jeremy Keith. Coffee: Caffé Medici, housed in a cozy old house along Clarksville’s West Lynn Street, has one of the best lattes in the city. The cafe also features breakfast tacos by locally loved Tacodeli, fresh juice from JuiceLand, and artwork by local artists, making it a great place to get a caffeine fix, breakfast, and an introduction to Austin’s creative scene all in one. Grab a ready-made sandwich to go and enjoy it during your first activity. Take a hike. A long one. There’s no better way to begin a day, particularly a nice one, than on a great trail that winds through the Texas Hill Country. One of the most iconic landscapes in Central Texas is that of the limestone cliffs and stone river beds of the Pedernales River, all of which you can find at nearby Pedernales Falls State Park. 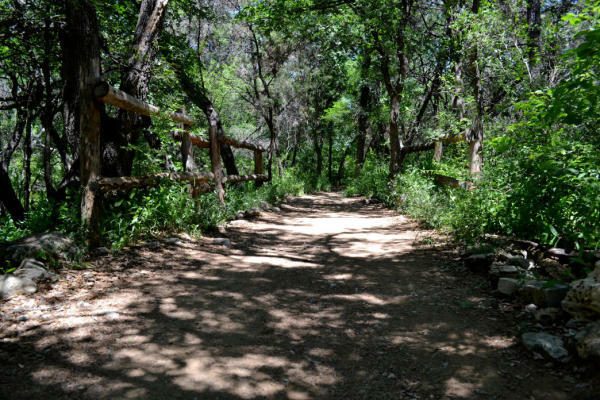 Take on the nearly 9-mile Juniper Ridge Trail, which winds through shaded mesquite forest, before taking on the short walk to the park’s actual namesake: Pedernales Falls (the reward for your hard work). And, when hunger strikes, you’ll be happy you packed that sandwich. Detouring to Jester King Brewery and Stanley’s Farmhouse Pizza. Courtesy of Jester King Brewery. Lunch: After taking on a challenging trail, you’ll be ready for a hearty meal. 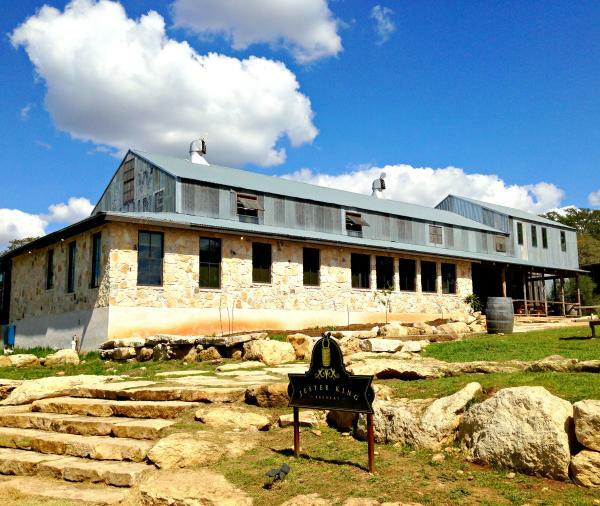 Head back toward Austin, detouring to Jester King Brewery and Stanley’s Farmhouse Pizza, which share a piece of land and feature both house-made sour beers and homemade pizza. Only open on weekends, expect to find a crowd, as locals flock to the hills to sip the award-winning brews and enjoy a slice under the shade of live oak trees. Hit the water: Make your way to Lady Bird Lake for a sunset paddle, whether you prefer a stand-up paddleboard, kayak, or canoe. With water "trails" ranging from 3 to 11 miles along the dammed section of the Lower Colorado River, you can make the paddle as low key or strenuous as you like. Either way, you will enjoy paddling among the downtown bridges and beaches along the shore with the beautiful backdrop of the Austin skyline. 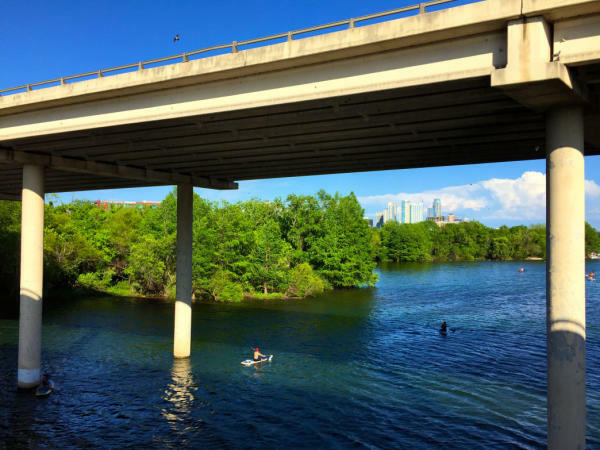 Between spring and fall, take a paddle to the South Congress Bridge, where you can watch the largest urban bat population take flight at sunset (March through October, roughly). Lady Bird Lake features one of the best urban paddling experiences in the country. Credit Cesar Garza. Evening: Beyond tacos and endless outdoor recreation opportunities, Austin is also home to incredible barbecue and live music—both of which can be found at Lamberts in the heart of downtown Austin. With a restaurant downstairs and an acclaimed music venue upstairs, you’ll enjoy upscale barbecue and a small stage where artists of all genres, many of whom end up making it big, play on any given night. Insider’s tip: the housemade mac and cheese is a must-try. Bedtime: Call it a night at the nearby Austin Motel, an iconic Austin landmark on South Congress, taken over by Liz Lambert’s Bunkhouse Management. Lambert is famous in Texas for her hotelier brilliance, creating legendary experiences from San Antonio to the deserts of Marfa. The Austin Motel sign is a regularly photographed symbol of old Austin, and its location gives you a perfect place to begin your second day of adventure. Coffee: After a full day yesterday, sleep in a bit and get a later start to your day. One block north of Austin Motel is Jo’s Coffee and the famous I Love You So Much mural wall. Take a seat at one of the street-facing patio tables, grab a coffee and however many house-made tacos it’ll take to give you a spike in energy (breakfast tacos are the Austin way). Barton Creek Greenbelt is a favorite among mountain bikers. Credit Sean Loyless. Mountain biking: Begin the day on two wheels and take on another long trail. If you need to rent a bike, Mellow Johnny’s is a longtime staple in the city. Access the Greenbelt at the Loop 360 Access Point. This section of the city’s Barton Creek Greenbelt is a favorite among mountain bikers. With Barton Creek on one side and limestone cliffs on the other, the area features a few drops and rocky, root-laden terrain that’s both technical and beautiful. Ride to the steep Hill of Life and back, rewarding yourself with a swim along the way. Sculpture Falls is a great place to take a break and enjoy the cool water. Lunch: After the morning excursion, why not enjoy a relatively healthy and locally sourced lunch? Bouldin Creek Cafe is a favorite, featuring a vegetarian menu that’s both savory and sweet. If breakfast is your jam, they serve it all day, every day. There’s also an extensive lunch and dinner menu, featuring things like an award-winning veggie burger, Buddha bowls, house-made hummus, and a pretty solid drink menu. Auditorium Shores at the Hike-and-Bike Trail. Credit Jody Horton Photography. Tour the lake: Yesterday you enjoyed Lady Bird Lake on the water. Today, why not enjoy an afternoon run or walk along the Hike and Bike Trail that encircles the lake? The hike at Pedernales Falls was a challenge, so you can make today’s distance as short or long as you like—but it’s mostly flat terrain, so you can enjoy the trail without a climb. 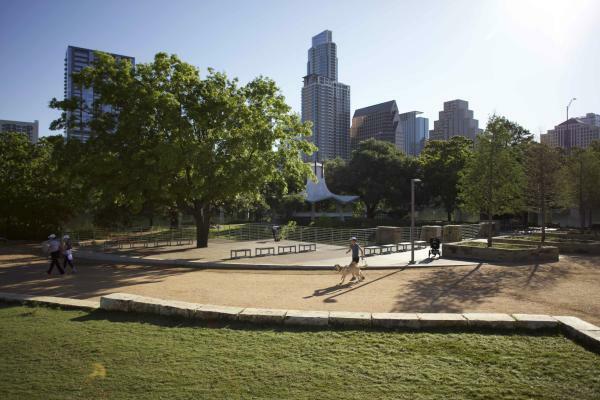 The trail is 10 miles in total, connecting Austin landmarks like Zilker Park, Shoal Beach, and Auditorium Shores. Drinks: By now, you’ve definitely earned a beer. Head to the east side of town to Zilker Brewing Company and enjoy a craft microbrew at one of its open-air tables or on its patio along Cesar Chavez. The Marco IPA is a house favorite, and while you’ll be drinking it from the tap, you can also pick up a sixer to go—the cans, after all, are arguably the best designed craft beer cans that exist. Dinner: After two days of hard work, exploration, tacos, and a few drinks, why not settle in for a nice dinner to cap your weekend? Head to Springdale Farm’s Eden East (Friday and Saturday only, reservations required). 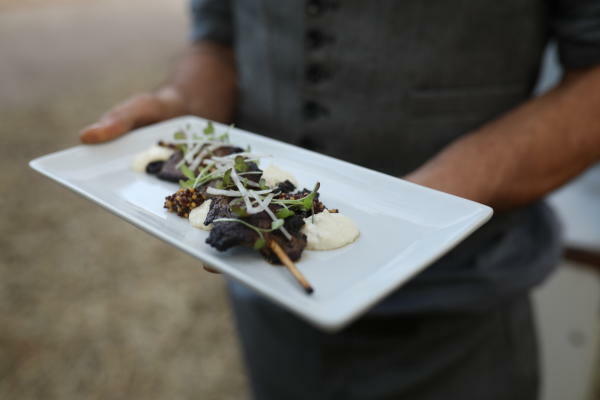 Eden East is the work of locally acclaimed chef Sonya Cote, and its farm-to-table, prix-fixe dinner experience showcases the best of local farms. Enjoy the meal at one of the incredible outdoor tables shaded by gnarly live oak trees and illuminated by twinkle lights. It’s a unique opportunity to sample produce and meats that are locally sourced, all set on an urban farm that has one of the best markets in the city. Nightcap: Head back to South Congress area. From here, you can decide whether you’re ready to call it a weekend—or, if you’d like to have one last nightcap. If you feel up to it, the long famous Continental Club is a music venue just a block from your room, and it has live music nightly. On any given night, you could find an old school legend (like Robert Plant) or an Austin-based rockabilly band on its stage. And if you’re ready for bed, there’s no shame. You’ve put in effort and the miles and deserve a good night’s sleep. Either way, sleep in ‘till check-out the next morning. Before departing the city, have another coffee at Jo&apos;s and take a photo in front of the famous "I love you so much" sign on the side of the building. It’s a photo that everyone deserves.